I am the Walnut …. or what does this cheese and the Kardashians have in common? Listen, it’s a fact. I don’t like my cheese tampered with, adorned or prettied up. In my view, this usually means the cheese itself is bland and in need of some “styling”. 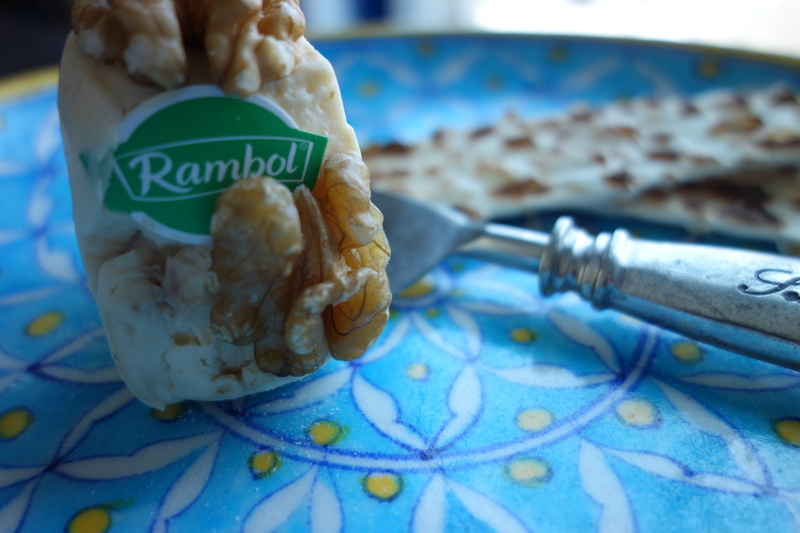 And so it is with this creation – Rambol Walnut Cheese. I may have been feeling a little desperate, stuck in a generic supermarket and keen to get my cheese obligations done for the week. In a moment of weakness, I bought it, as you can see, I deigned only to try the smallest piece the deli girl allowed. I mean I love cheese, like walnuts, what could be so bad? 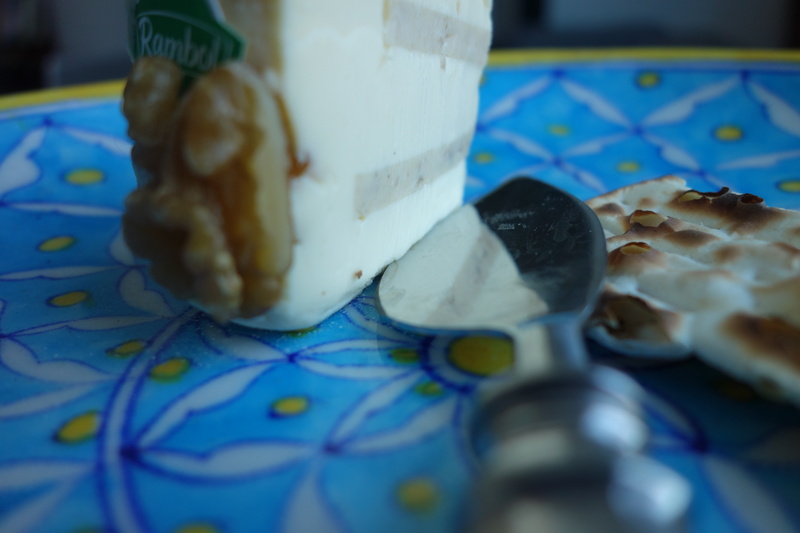 It’s a processed cheese with layers of chopped walnuts inside; popular spreadable cheese. And taste wise, that’s it really. The filling is also made from walnuts. Would I buy it again? Probably not. This is the cheese version of the Kardashaians – over exposed, over processed, over adorned and no one is quite sure what it’s all about.